The relationship between any landlord and tenant should reasonably aim to keep an open channel of effective communication between the parties and to be proactive in both exercising their respective rights and attending to their obligations as set out in the lease. This is not always the case, and sometimes when tempers boil over, impulsive decisions are made, like locking a tenant out of the property because their rent is in arrears. What is the “Mandament van Spolie”? The mandament van spolie (or “spoliation”) is, in short, a common law remedy which is used in instances where a person is unlawfully dispossessed of property to which said person had peaceful and undisturbed possession. In most instances, a landlord might feel that, because she is the lawful owner of the property, she has the right to take the law into her own hands and decide who and what may remain on the property. 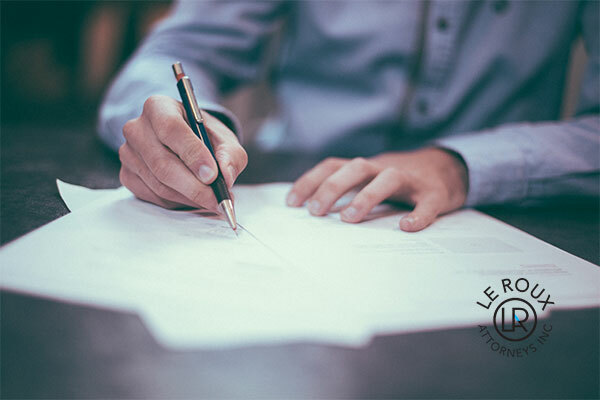 It is important to note that the mandament van spolie protects actual, physical possession by the tenant, and not the landlord’s right to possession. The landlord’s claim that she has a stronger right or claim to possession is thus irrelevant for purposes of this remedy. Whenever a tenant is locked out of the property, or in other words, unlawfully dispossessed of the property, he or she loses access to the property as well as his or her belongings and assets within the property. The tenant’s best option would be to contact a law firm specialising in evictions to assist with a mandament van spolie application. This is an urgent application due to the nature of the dispossession and will be heard in a Magistrate’s Court a day or two after application. Once the Magistrate is satisfied that the tenant was unlawfully dispossessed of property, e.g. locked out by the landlord without following the necessary legal procedure, the Magistrate will grant an order for possession to be reinstated. Can the landlord still evict tenants after possession is reinstated? Once control and possession of the property is reinstated to the tenant, the landlord is still fully entitled to initiate legal proceedings for an eviction. The main difference being that the landlord, this time around, follows the necessary legal procedures to evict a tenant.